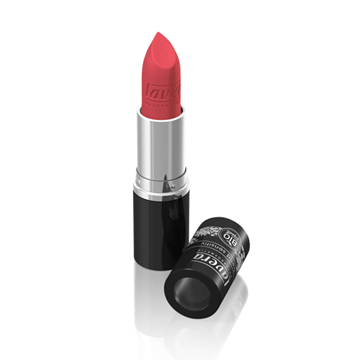 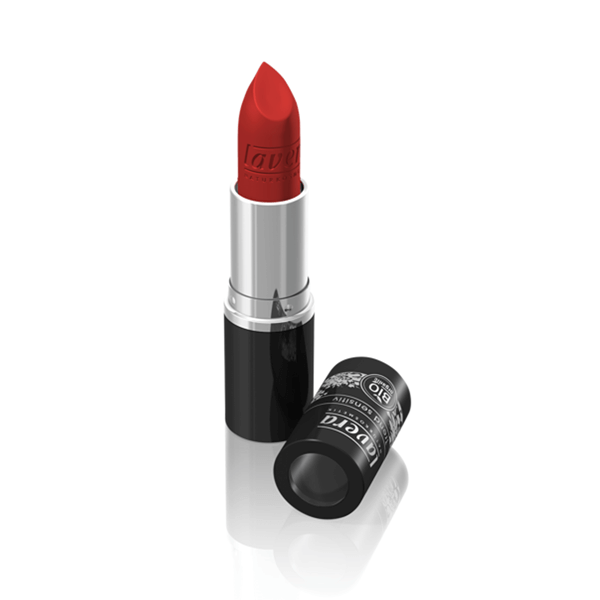 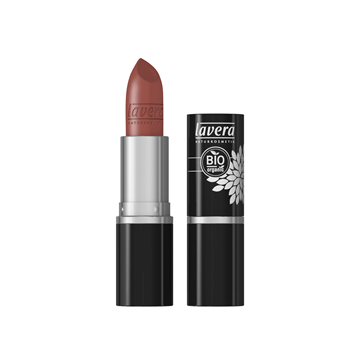 Lavera Beautiful Lips Matt'n Red Lipstick is classic bold red tone that is creamy, smooth and certified natural! 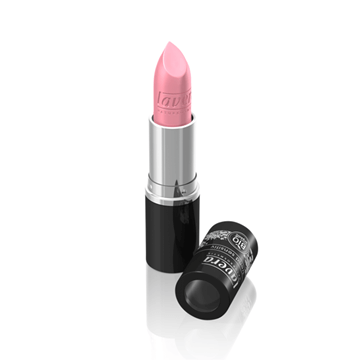 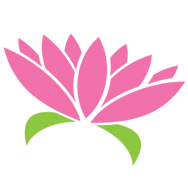 Containing Organic rose, mallow and lime blossom, this lipstick provides hydrating and nourishing benefits. 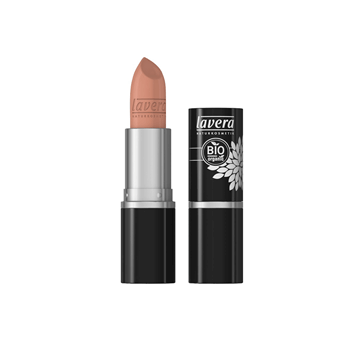 Beautiful flower extracts and natural mineral pigments make for a long-lasting, sweet-scented lipstick which will make lips appear full and lush!